Not that I don’t believe you, but where has this been confirmed? Nice info Python. This is good to know as it's starting to get confusing who's making what. When I saw the announcement I was like "hell yeah" then I also realised there is no Prime 1 logo on it and was immediately disappointed. 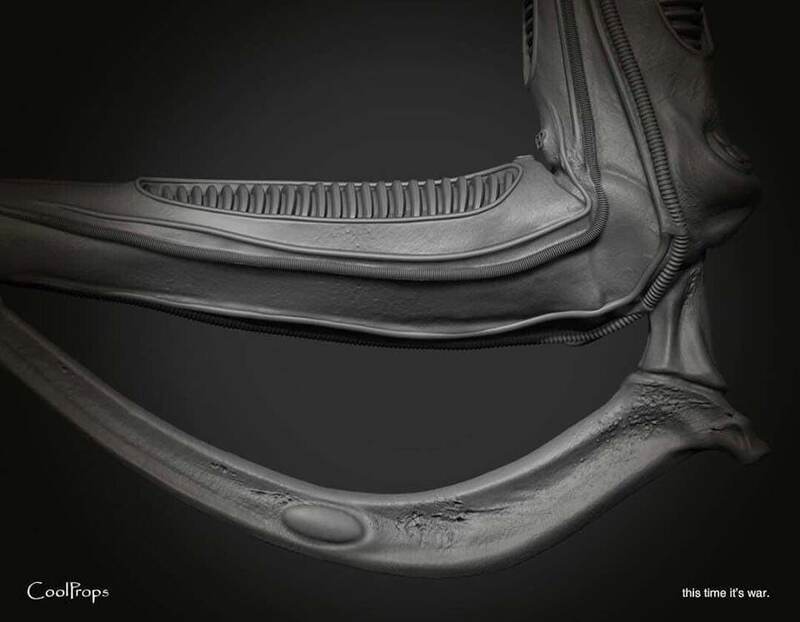 I really hope Prime 1 is still doing a 1/3 Alien Warrior and that it will be shown very soon but this teaser from CoolProps and the lack of a warrior in Prime 1's 3 teaser shots from earlier in the year would probably suggest they are currently only doing a Big Chap and a Queen. To say I am disappointed would be a massive understatement as this was the one piece I was really looking forward to after passing up on the Sideshow Alien Warrior maquette in favour of this. I have not been impressed with CoolProps lately so it is likely I will be passing on this statue unless something drastically changes. My fingers are still crossed but I'm no longer holding my breath. Very interesting. We all know Prime 1 shines with their pieces and their final product, there is no doubt in that. However, if they (P1) only have the license or permission to make Alien products without the Alien vault (like Coolprops have access to). The P1 Aliens, from now on, may disappoint due to too much stylization. Prime1 and Coolprops were the PERFECT collaboration. Such a damn shame.